We at The Cove have looked forward to the opening of Ruth’s Prayer Garden, as our Grounds Maintenance team, led by horticulturist Lucas Jack, has been hard at work for months, planting and cultivating the seeds of this garden of prayer. Their job may at times feel thankless, and there are usually a few days a year, during the cold winter months of January and February, when they are quite literally “snowed under” with work. Yet we praise God for each of these dedicated workers who serve God, the Master Gardener, so faithfully. A walk through the newly opened Prayer Garden will reveal the results of their labor: Seeds planted in the cold ground of February that have blossomed in the warmth of spring. 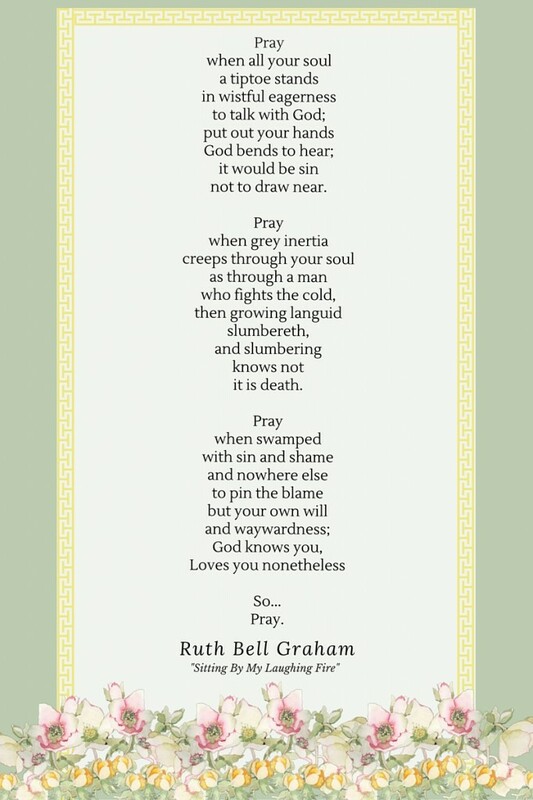 Ruth Bell Graham understood well this concept of anticipation—walking by faith and living in expectancy of answered prayer to come. The Cove itself was born from the seeds of faith sowed by Billy and Ruth as they walked the undeveloped property and prayed for God’s will. I believe The Cove represents “exceedingly abundantly” answered prayer, “above all that we ask or think” (Ephesians 3:20). Today, the colorful, serene garden stands as a lush and living testimony to this remarkable woman who left behind a legacy of faith and prayer. Her vision for The Cove to become a place of rest, relaxation, refreshment and renewal has been realized. Ruth’s Prayer Garden is named in honor of this woman who made a life-long habit of “waiting on the Lord” in prayer. Billy Graham’s original vision for The Cove has also come to pass. 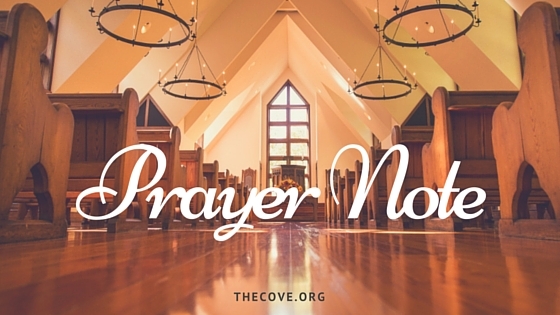 Each year, thousands come to find The Cove as a place of impact, intercession, instruction and inspiration. The garden itself was designed to be a place of intercession—a restful, relaxing place where visitors will find refreshment and renewal as they pray and seek God’s face. Thank you. How grateful I am for these peaceful, restorative moments with Him the Cove provides me! Thank you Mary! Bless you. It was a huge blessing to be there today for the dedication of the Ruth Graham Memorial Prayer Garden. It is absolutely a beautiful place to walk through and I felt the presence of the Lord. Lucas Jack and his team really did an outstanding job of planning and planting and designing it. Will Graham’s message was just right. As I was driving the six hours home, I was praising and thanking my Father for the inspiration of The Cove, for to be there is to be renewed, refilled, refreshed b y the Holy Spirit and the fellowship of the staff and the people w ho come cannot be put into words. Billy and Ruth Graham’s prayers have surely been answered. Faye, we were all so happy to have you here with us for this special day. Thank you for making the trip. Bless you! Thank-you for the lovely poem. I am looking forward to seeing the garden soon. You’re welcome Susan! Lot’s of garden pictures and video coming to you on tomorrow’s blog post. Have a blessed day!